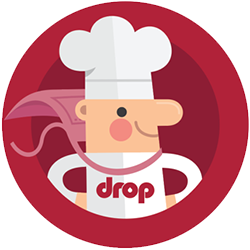 Drop — What devices are Drop Scale compatible with? Drop Scale connects to phones and tablets via Bluetooth 4.0 Low Energy (BLE). The scale is compatible with most Android devices that run Android 5.0 or later and all Apple devices that run iOS 10 or later, all of which support BLE. If you are unsure which iPad or iPhone model you own, please refer to our article on identifying your model here. If you have a tablet or phone that can run Android 5.0 or later, your device is most likely compatible with Drop Scale. To check and update your Android version, follow these instructions. If you'd like to know more about why Drop Scale isn't compatible with iPad 1, iPad 2, or any iPhone model before iPhone 4S, please click here.